311 and Whooty Wrote: Ipay......being negative as usual. What's wrong with her? You're acting like she is some fat, greasy, trailer park woman. I'm come to the conclusion that you are just a hater and you really don't approve of BM/WW relationships in the first place. I've seen better, but that doesn't mean she isn't attractive. I never meant to come off that way. I was simply stating with all his money you'd think he get a BETTER white chick, not that nothing is wrong with her. She isn't ffat or trailer trash or nothing like tht. She is just an average thin ok looking white chick. I think people on this board have different standards. No reason to accuse others of being haters. If he loves her, good for him. Not my cup of tea but to each their own. You know, summer is my busy season- lots of people want to work out, last gasp before they hit the beach or go away for a summer vacation so I haven't had much time to police some threads because i've been doing so many sessions, so some people have been lucky in their ability to run ragged in a few threads. In any case, this thread is way off the rails and it stops now. Go back to enjoying hot white chicks with ballers. Anyone else who wants to go off topic should expect their posts deleted and if it's continuous disruption, sterner measures will occur. 311 and Whooty Wrote: Bacari Sanga and his wife. Time to change that Arsenal kit, though. He's headed to Manchester City for that oil money. She is also half arab and they love black dicks here. whats the other half? french? Ipay4 Wrote: whats the other half? french? Yes, her mother is French. 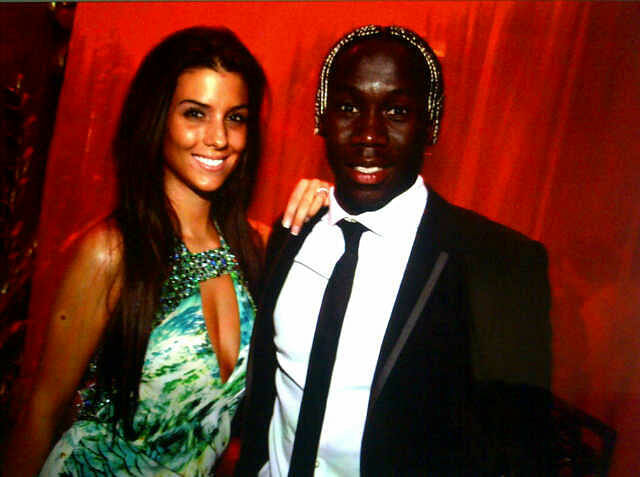 Bacary Sagna like many pro soccer players has been a pro since his early teen years. He was playing professionally at the age of 15 for a french club (not the highest level mind you but still professional) . In soccer it is not uncommon for many of these players to be signed to contracts before they are teenagers. Lionel Messi considered to be the best player in the world was signed to a contract at the age of 11. Just wanted to bump this because a former IR WAG had some private pics leaked, gotta say this one is kinda a dream come true been wanting to see her uncovered for years.